We also providing Auto Booster products to our clients like Battery Charger. 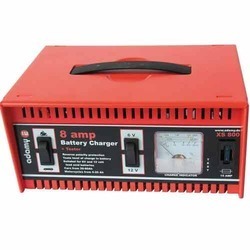 We have with us Battery Chargers that are procured from the well-known vendors of the market. Our vendors make all these products using high grade raw material to ensure that these meet international quality norms & standards. In addition to this, our team of expert quality controllers stringently checks all the products on various parameters to ensure flawlessness. 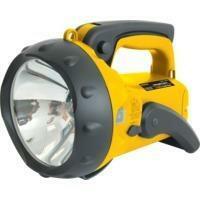 ERS002 2.5 million candle power super bright quartz halogen spotlight/lantern. Weatherproof. Two position handle, to ensure comfortable and ergonomic access. Swivel stand/handle. 6V 4Ah sealed lead acid battery. Supplied with AC/DC mains charger and 12V DC car plug adaptor for portable charging. Battery operation time (20 hours full charge): 20 minutes.